Chapter 4 Predication CSE 820. 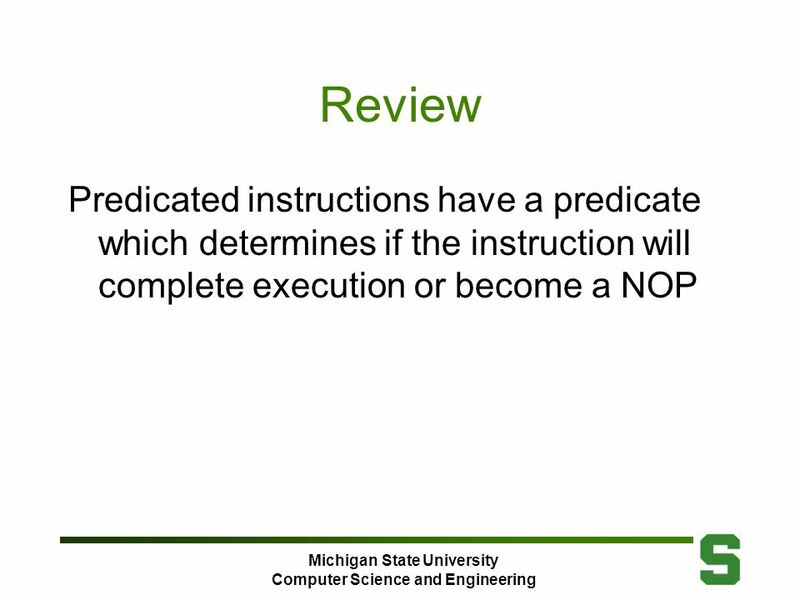 Michigan State University Computer Science and Engineering Go over midterm exam. 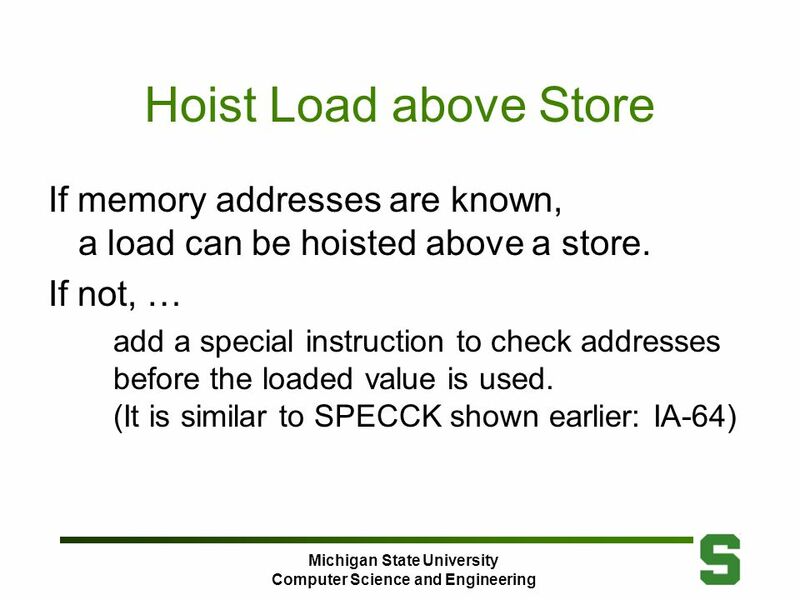 5 Michigan State University Computer Science and Engineering Hoist Load if (A==0) A=B; else A= A+4; LDR1,0(R3);load A LDR14,0(R2) ;speculative load B BEQZR1,L3;other branch of if DADDIR14,R1,#4 ;else clause L3:SDR14,0(R3);store A What if speculative load raises an exception? 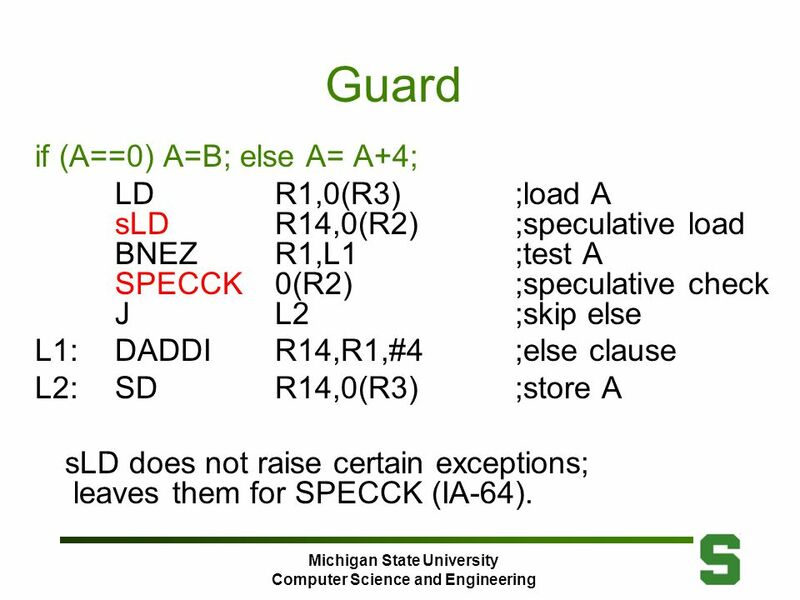 6 Michigan State University Computer Science and Engineering Guard if (A==0) A=B; else A= A+4; LDR1,0(R3);load A sLDR14,0(R2);speculative load BNEZR1,L1;test A SPECCK0(R2);speculative check JL2;skip else L1:DADDIR14,R1,#4 ;else clause L2:SDR14,0(R3);store A sLD does not raise certain exceptions; leaves them for SPECCK (IA-64). 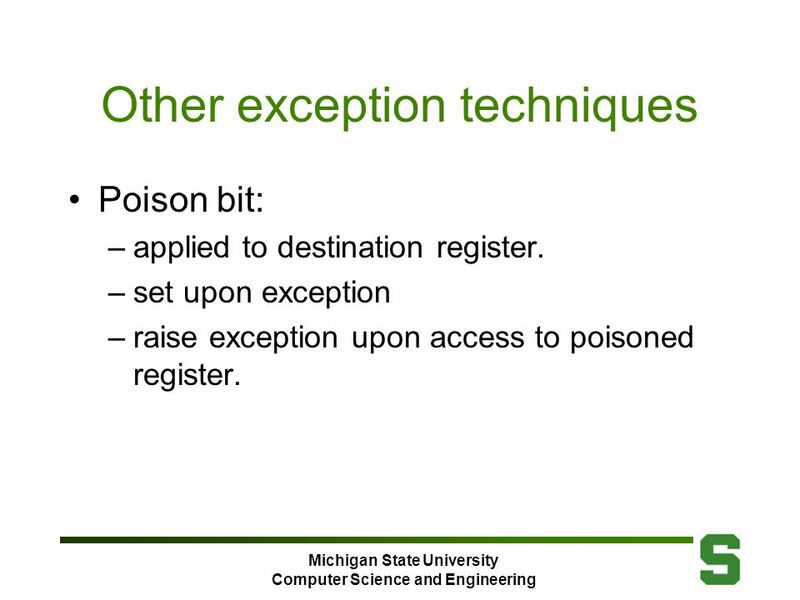 7 Michigan State University Computer Science and Engineering Other exception techniques Poison bit: –applied to destination register. –set upon exception –raise exception upon access to poisoned register. 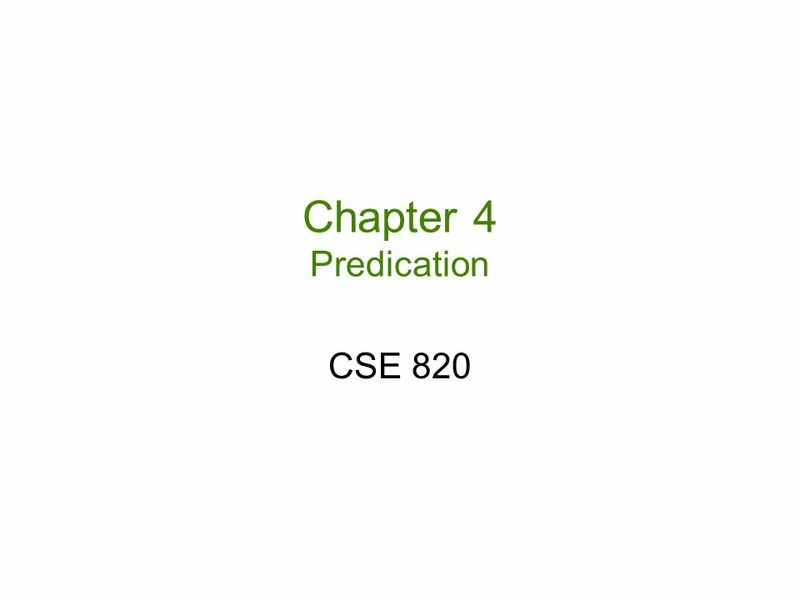 Download ppt "Chapter 4 Predication CSE 820. 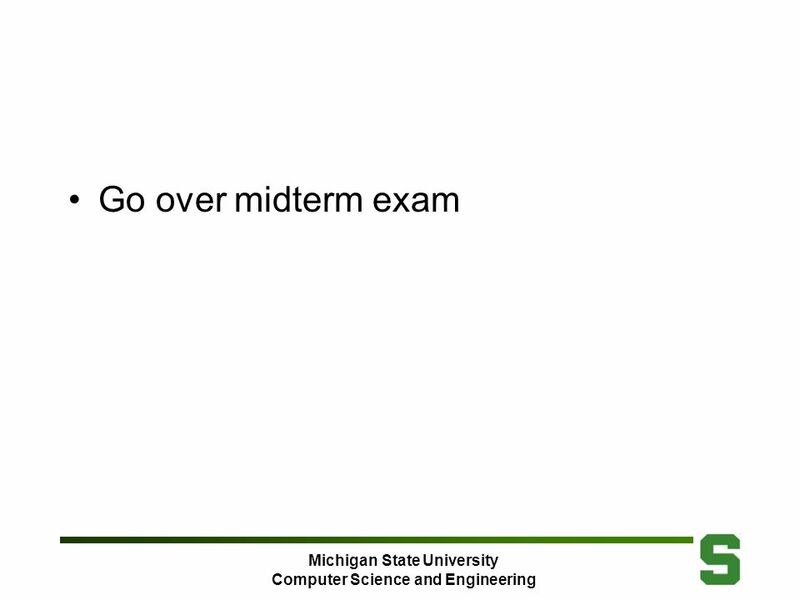 Michigan State University Computer Science and Engineering Go over midterm exam." MIPS assembly. Review  Lat lecture, we learnt  addi,  and, andi, or, ori, xor, xori, nor,  beq, j, bne  An array is stored sequentially in the memory. IMPACT Second Generation EPIC Architecture Wen-mei Hwu IMPACT Second Generation EPIC Architecture Wen-mei Hwu Department of Electrical and Computer Engineering. Anshul Kumar, CSE IITD CSL718 : VLIW - Software Driven ILP Hardware Support for Exposing ILP at Compile Time 3rd Apr, 2006. Fall 2012SYSC 5704: Elements of Computer Systems 1 MicroArchitecture Murdocca, Chapter 5 (selected parts) How to read Chapter 5. 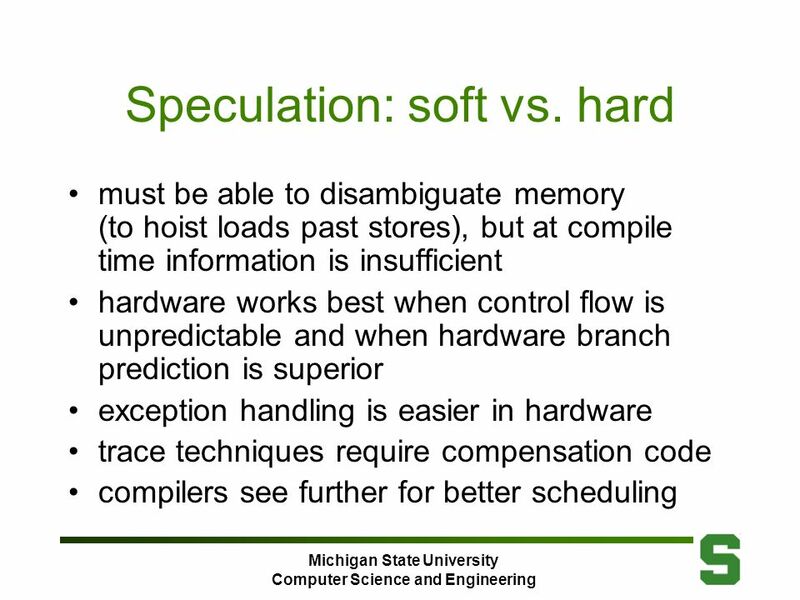 Speculative ExecutionCS510 Computer ArchitecturesLecture Lecture 11 Trace Scheduling, Conditional Execution, Speculation, Limits of ILP. 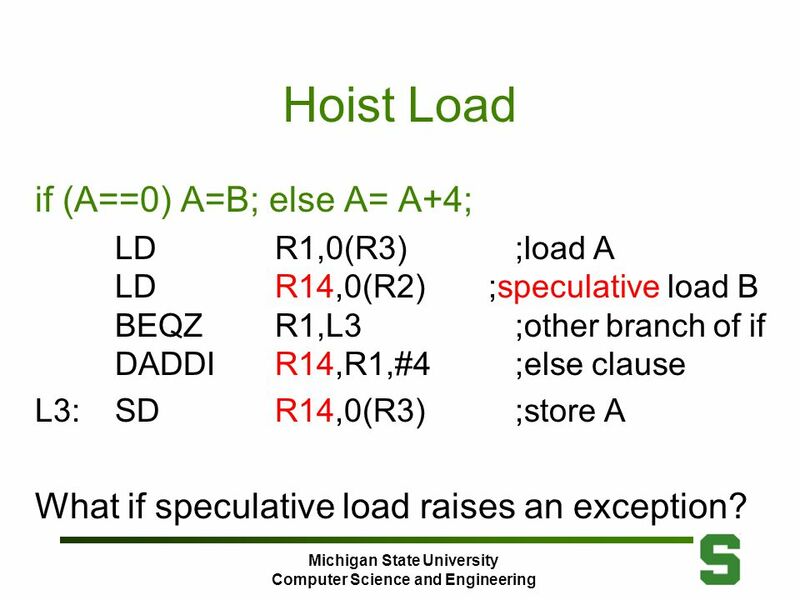 Dynamic Branch Prediction (Sec 4.3) Control dependences become a limiting factor in exploiting ILP So far, we’ve discussed only static branch prediction. ENGS 116 Lecture 111 ILP: Software Approaches 2 Vincent H. Berk October 14 th Reading for monday: 3.10 – 3.15, Reading for today: 4.2 – 4.6. Loop Unrolling & Predication CSE 820. 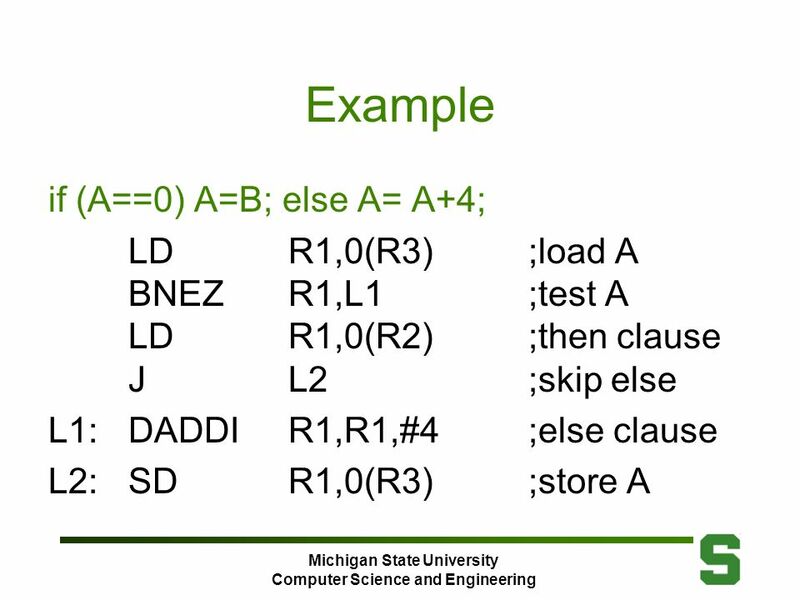 Michigan State University Computer Science and Engineering Software Pipelining With software pipelining a reorganized. CSE 490/590, Spring 2011 CSE 490/590 Computer Architecture VLIW Steve Ko Computer Sciences and Engineering University at Buffalo. 1 COMP 740: Computer Architecture and Implementation Montek Singh Tue, Feb 24, 2009 Topic: Instruction-Level Parallelism IV (Software Approaches/Compiler.